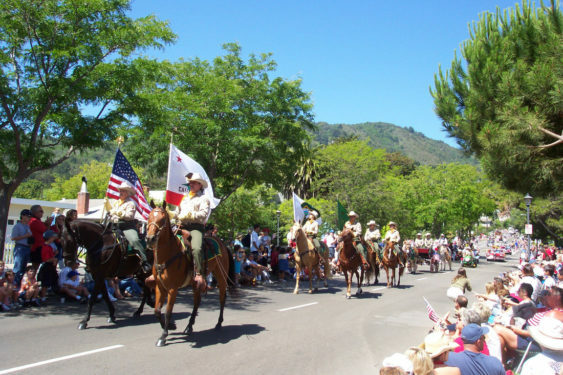 The annual Corte Madera Fourth of July Parade and Celebration is one of the biggest events on the Fourth of July in Marin, drawing approximately 15,000 people annually. The parade begins at 10:30 am at Redwood High School (395 Doherty Drive, Larkspur) and ends at Corte Madera’s Town Center where festivities will continue until 5 pm. The parade will feature many incredible bands including the Famous Corte Madera Town Band, McIntosh Pipe Band, and the Freedom Band. The celebration immediately following the parade at Corte Madera Town Park will feature a large selection of artists and artisans, including some of the very own crafters from the Twin Cities. There will be fine art, photography, pottery, wine charms, candles, clothing, jewelry, glassware and much more.